The whole video available on NBC shows the wife screaming at the officers not to shoot – that her husband has a brain injury …And that he does not have a gun. We go from my previous post about the Beauty Queen who is a Captain in the US Army serving her country, to the ugly of yet another Trump Bimbo being blown up on air. Might be a good idea for the Drumph campaign to invest in Kevlar Corsets for the seemingly endless line of clueless bimbettes from his campaign whose singular accomplishment is sequentially getting that “Deer in the headlights” look…just before being eviscerated by an oncoming 18 wheeler of logic and truth. Hard fried eggs over burnt toast tips. The women who work for Trump — who account for about 28 percent of his total staff — made an average of about $4,500 in April, according to the Globe analysis. The men made nearly $6,100, or about 35 percent more. The disparity is slightly greater than the gender pay gap nationally. Of the 15 highest-paid employees for that month, only two were women… Trump’s campaign staff is also far less diverse than that of his likely Democratic opponent. Only about 9 percent of his team are minorities, compared with nearly a third of Clinton’s staff. The women working for Clinton — who account for 53 percent of her total staff — took home an average of $3,710. The men made slightly more, at $3,760. Clinton’s staffers, men and women, made less than the women who work for Trump. On Clinton’s campaign, the highest-paid employee was a woman, Jennifer Palmieri, the campaign’s director of communications. And of the 15 highest-paid employees, eight were men and seven were women. 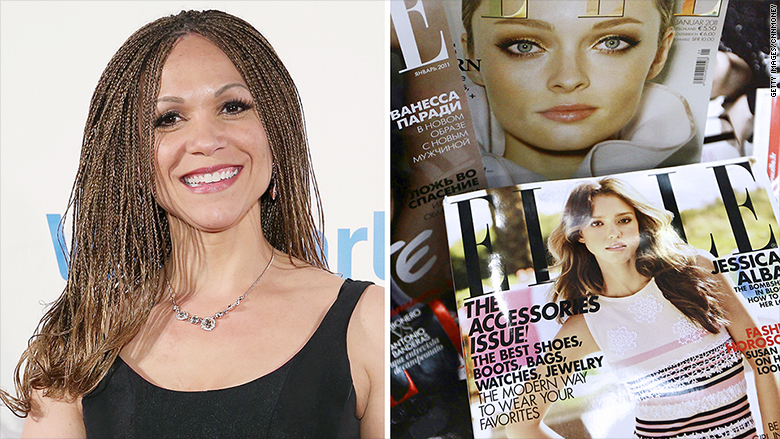 Well …It certainty isn’t television, or a major cable network – but former MSNBC Melissa Harris-Perry seems to have landed with Elle Magazine. Harris-Perry will write columns, host videos and conduct interviews for the web site, beginning later this week. Elle is the first of several new media homes for Harris-Perry. “This gives me a chance to talk politics, but also culture, race, gender, and literally shoes,” she said in a telephone interview. Harris-Perry won’t work full-time with Elle, but will write and appear on-camera regularly.